Johnny Depp nominated for two Teen Choice Awards! Johnny Depp received a 2013 Teen Choice Award nomination as Choice Movie Star: Male for his performance as Tonto in The Lone Ranger. Other nominees in the category include Henry Cavill for Man of Steel, Dwayne Johnson for Fast & Furious 6, Chris Pine for Star Trek Into Darkness, and Channing Tatum for White House Down. Johnny and Lone Ranger co-star Armie Hammer were nominated in the Choice Movie: Chemistry category. They face competition from Sandra Bullock and Melissa McCarthy in The Heat; Don Cheadle and Robert Downey Jr. in Iron Man 3; Vin Diesel, Dwayne Johnson and Paul Walker in Fast & Furious 6; and Jamie Foxx and Channing Tatum in White House Down. Congratulations to Johnny and Armie! Fans ages 13-19 can vote once each day per category for their favorite TEEN CHOICE 2013 nominees HERE. Voting ends at 11:59 PM PT on Saturday, Aug. 10. The Teen Choice Awards 2013 will air on Fox on Sunday, August 11, 2013 from 8 to 10 p.m. The Zone thanks FANtasticJD for sharing the news; you can read more about the 2013 Teen Choice Awards on the Zone’s News & Views forum. Categories: Uncategorized | Tags: | Comments Off on Johnny Depp nominated for two Teen Choice Awards! Johnny Depp greets Tokyo press and fans at THE LONE RANGER premiere! 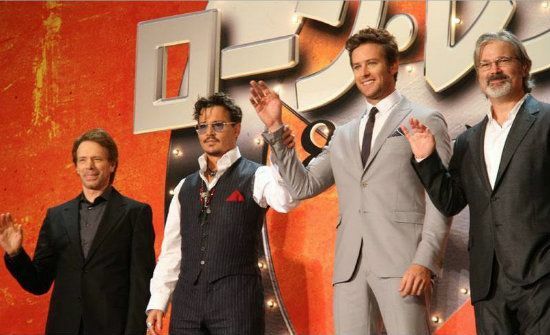 Johnny Depp joined co-star Armie Hammer, director Gore Verbinski, and producer Jerry Bruckheimer in Tokyo today for a press conference promoting The Lone Ranger, followed by the red carpet premiere of the spectacular Western. An enthusiastic crowd, including some folks wearing Tonto’s signature face-paint, gave Johnny and Armie a warm reception. Photos from the premiere, including Johnny signing autographs for fans, are available HERE. Many thanks to Emma and Theresa for sharing the photos. Johnny adopted a more casual look for the photocall earlier in the day, wearing jeans and his familiar battered fedora to greet the Japanese press. Photos from that event are available HERE. The Zone thanks emma, humiliatedgrape, and Theresa for sharing pictures from the photocall; you can read more about Johnny’s visit to Japan on the Zone’s Pit General Discussion forum, and more about The Lone Ranger on the Zone’s News & Views forum. 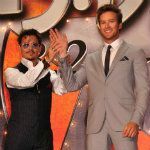 Categories: Uncategorized | Tags: | Comments Off on Johnny Depp greets Tokyo press and fans at THE LONE RANGER premiere! 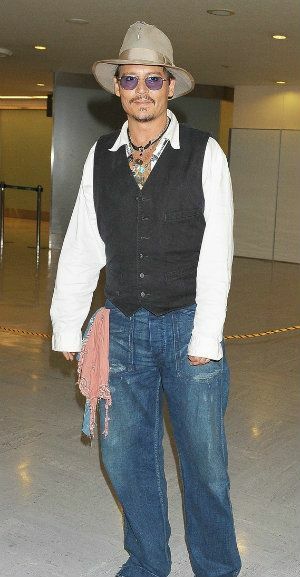 BREAKING NEWS–Johnny Depp arrives in Japan to promote THE LONE RANGER–new photos! 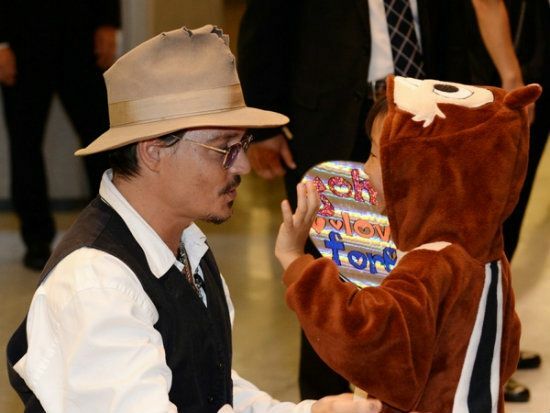 The photo at left shows Johnny Depp greeting a young fan at Narita Airport when he arrived in Japan this morning to promote The Lone Ranger. Johnny was accompanied by Amber Heard and his children, Lily-Rose and Jack, as well as security chief Jerry Judge. Asked to comment on the large crowd waiting at the airport to greet him, Johnny told a television reporter, “It’s always very surprising but very warm and very touching . . . . It’s always very nice.” Photos of Johnny at the airport interacting with the crowd are available HERE. The Zone thanks emma, mosh-chops, and Theresa for sharing photos; you can read more about Johnny’s visit to Japan on the Zone’s News & Views forum and Pit General Discussion forum. 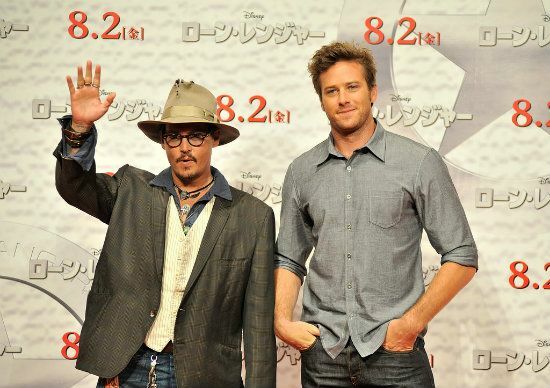 Categories: Uncategorized | Tags: | Comments Off on BREAKING NEWS–Johnny Depp arrives in Japan to promote THE LONE RANGER–new photos! 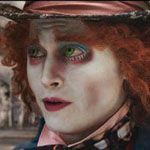 Johnny Depp will pull out a favorite hat from his wild-and-crazy chapeau collection and return as The Mad Hatter in Disney’s Alice in Wonderland 2. Linda Woolverton, who wrote the 2010 Alice, is scripting the sequel, which may be called Through the Looking Glass. James Bobin, who has done Disney proud helming their Muppets franchise reboot (The Muppets, Muppets Most Wanted), will direct, taking the baton from Tim Burton. Alice in Wonderland won two Oscars (costume design and art direction) and broke the $1 billion barrier at the box office during its theatrical run in 2010. You can read more about the Alice in Wonderland sequel on the Zone’s Porch General Discussion forum. Johnny Depp’s movie production company, Infinitum Nihil, has a new home at Disney. 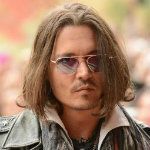 Variety reports that “[u]nder a new multi-year first-look deal, Depp will develop film projects he can produce at the studio, expanding his relationship with Disney.” Johnny has two Disney projects on his current schedule: Rob Marshall’s musical Into the Woods and the fifth Pirates of the Caribbean. A sequel to Alice in Wonderland is also in development. The Zone thanks Lou Lou 63 and Theresa for sharing the news; you can read more on the Zone’s News & Views forum. The Variety article is available HERE. Here’s a happy surprise: there’s another new project on Johnny Depp’s schedule! 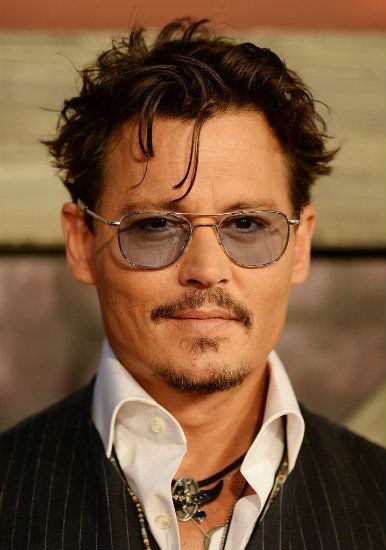 Johnny is now in negotiations to star in Mortdecai for director David Koepp at Lionsgate. The snappily-titled Mortdecai is an adaptation of Kyril Bonfiglioli’s final novel, The Great Mortdecai Moustache Mystery. Johnny will be producing the film with his Infinitum Nihil partner Christi Dembrowski and Andrew Lazar. 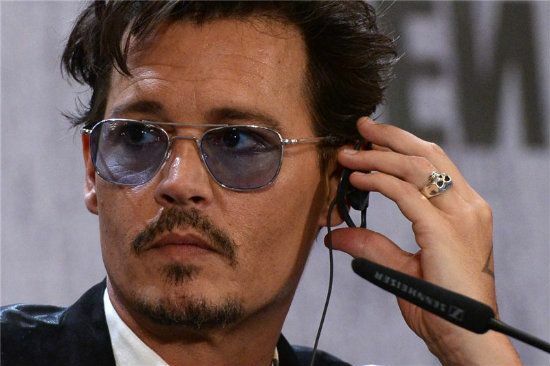 Johnny will play roguish art dealer Charles Mortdecai, who, the studio says, “must traverse the globe armed only with his good looks and special charm in a race to recover a stolen painting rumored to contain the code to a lost bank account filled with Nazi gold.” Got that? If that’s not enough plot for you, the Hollywood Reporter states that Mortdecai “also has to juggle angry Russians, the British Mi5, his impossibly leggy wife and an international terrorist.” Sounds like he’s in for a busy day. David Koepp has long been one of the busiest and most successful screenwriters in Hollywood — if you saw Jurassic Park, the first Mission: Impossible, Spider-Man, Panic Room, or Indiana Jones and the Kingdom of the Crystal Skull, you saw his work. He previously directed Johnny Depp as Mort Rainey in Secret Window (Koepp adapted Stephen King’s novella for the screen); his most recent effort as writer-director was 2012’s Premium Rush. The Zone thanks Theresa for breaking the news; you can read more about Mortdecai on the Zone’s News & Views forum. The Hollywood Reporter article is available HERE. Happy 10th anniversary to Captain Jack Sparrow and PIRATES OF THE CARIBBEAN! Believe it or not, it was exactly ten years ago today that Pirates of the Caribbean: The Curse of the Black Pearl opened in movie theaters across North America, and the public got its first glimpse of Johnny Depp’s Captain Jack Sparrow. Critics were predisposed to sneer at a movie inspired by a theme-park ride — was there even one review that failed to highlight that fact, or to mention that the pirate movie was a dead genre? — but ecstatic word-of-mouth soon made the pundits and past history irrelevant. 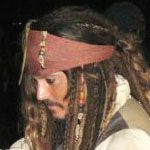 Pirates of the Caribbean: The Curse of the Black Pearl eventually claimed box-office booty of $654 million worldwide, lodged its colorful characters permanently in the popular imagination, and launched three fantastically successful sequels. Now Captain Jack Sparrow’s boast is true around the world: everyone has heard of him. Huzzah! The Zone congratulates and thanks all of the dedicated artists who worked on Pirates of the Caribbean: The Curse of the Black Pearl; you have given us more hours of pleasure and pure entertainment than we could possibly count. Thanks, above all, to Johnny Depp . . . the best pirate we’ve ever seen. Categories: Uncategorized | Tags: | Comments Off on Happy 10th anniversary to Captain Jack Sparrow and PIRATES OF THE CARIBBEAN! We’re celebrating the Zone’s 9th birthday at this site! Cheers! It’s our ninth birthday! Sleepy and I started the Johnny Depp Zone on this site nine years ago, continuing the Johnny Depp Zone tradition that has been operating in one form or another for more than 15 years. We officially opened the “new” Zone on July 9, 2004, the first anniversary of the release of Pirates of the Caribbean: The Curse of the Black Pearl. When we began the website, Charlie and the Chocolate Factory had just started shooting at Pinewood, Corpse Bride had just been announced, there were rumors Finding Neverland would finally be released in the fall, and Johnny’s production company, Infinitum Nihil, had just been formed. The Libertine was in post-production and headed for a work-in-progress showing at the Toronto Film Festival. How time flies! Not only have we seen Finding Neverland, Charlie and the Chocolate Factory, Corpse Bride and The Libertine make their way into theaters, but we’ve watched every step of the production of the Pirates of the Caribbean sequels Dead Man’s Chest, At World’s End, and On Stranger Tides; we’ve heard Johnny sing his way to a Golden Globe win and an Oscar nomination in Sweeney Todd; we’ve seen him shoot up the screen as Dillinger in Michael Mann’s Public Enemies, charm us as the Mad Hatter in Tim Burton’s blockbuster Alice in Wonderland, intrigue Angelina Jolie in The Tourist, ride to the rescue in Gore Verbinski’s Oscar-winning Rango, discover his Hunter S. Thompson-inspired “voice of ink and rage” as a journalist in The Rum Diary, rise from the undead as Barnabas Collins in Dark Shadows, and tutor Armie Hammer’s Eastern lawyer in a quest for frontier justice as Tonto in Verbinski’s majestic and maligned The Lone Ranger. Johnny is currently filming Wally Pfister’s Transcendence, and his next project will see him singing on screen again, as the Wolf in Stephen Sondheim’s award-winning musical Into the Woods, with a powerful cast including Meryl Streep, Emily Blunt, James Corden, Anna Kendrick, Chris Pine, Jake Gyllenhaal, and Tracey Ullman, under the direction of Rob Marshall. Also, he’s now editing his documentary on friend and inspiration Keith Richards. As we celebrate and reminisce today, I’d like to thank Sleepy, Theresa, Joni, Liz and fireflydances for their dedication and hard work. Without them, we wouldn’t have a Zone. Many thanks to everyone who has helped us along the way, to all the Zone staff past and present, to Andre for his technical wizardry, to mytreasure for the lovely birthday card, and to all of our members for making the Zone a wonderful place to be. Most of all, thanks and much love always to Johnny Depp, for nine years of entertainment, inspiration, and delight — he’s the reason we’re here! Categories: Uncategorized | Tags: | Comments Off on We’re celebrating the Zone’s 9th birthday at this site! Cheers! Q: What do you want to do next? Is there something that you haven’t done or a story you haven’t told that you really want to? JOHNNY DEPP: Yeah. There’s a couple of things, you know, that we’ve been talking about for years that we want to get made. There’s a great series of books by a guy named Kyril Bonfiglioli called The Mortdecai Trilogy and there’s one called The Great Mortdecai Moustache Mystery. And it’s a very funny series of books and a very interesting character. Q: Okay, so that might be next. JOHNNY DEPP: Might be. We’ll see. I hope so. Charlie Mortdecai, the hero of Bonfiglioli’s books, is described as “a wealthy art dealer with a penchant for good food, bourbon, and fine clothes, who frequently finds himself caught up in strange cases of crime and espionage.” Sounds fascinating! The Zone thanks emma for sharing the news; you can read more on the Zone’s News & Views forum. In a recent interview with Eric Eisenberg of CinemaBlend, director Gore Verbinski described his latest project, the epic Western The Lone Ranger, as “a mix of Don Quixote and Midnight Run.” Verbinski wanted to approach Johnny Depp’s Tonto as “Sancho Panza telling the story of Don Quixote,” so the film would come to the audience through Tonto’s perspective. And it was important that the relationship between the Ranger and Tonto be one of equals, not a hero and a sidekick. The full CinemaBlend interview with Gore Verbinski is available HERE. 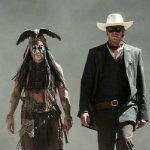 You can read more about The Lone Ranger on the Zone’s News & Views forum and the Porch General Discussion forum. Hi-yo, Silver! THE LONE RANGER rides into theaters today! After years of preparation and a seven-month-long shoot, Gore Verbinski’s The Lone Ranger rides into theaters today, delivering thrilling action, heartfelt characterizations, and the majestic scenery of the still-Wild West to your local multiplex. 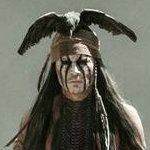 Johnny Depp plays Tonto, a Comanche who retells the story of how John Reid (Armie Hammer) set aside his law books to become the Lone Ranger, and how the pair banded together to fight injustice. The topnotch supporting cast includes James Badge Dale as Texas Ranger Dan Reid; Ruth Wilson as Dan’s wife Rebecca; Bryant Prince as young Danny Reid; Tom Wilkinson as railroad baron Latham Cole; William Fichtner as outlaw Butch Cavendish; Helena Bonham Carter as a shrewd madam; Barry Pepper as Captain Fuller; and Saginaw Grant as a Comanche chief. The Zone congratulates everyone involved in bringing The Lone Ranger to the screen, and thanks them for their vision and commitment. You can read more about The Lone Ranger on the Zone’s News & Views forum; member reaction to the film is available on the Porch General Discussion forum. Categories: Uncategorized | Tags: | Comments Off on Hi-yo, Silver! THE LONE RANGER rides into theaters today! 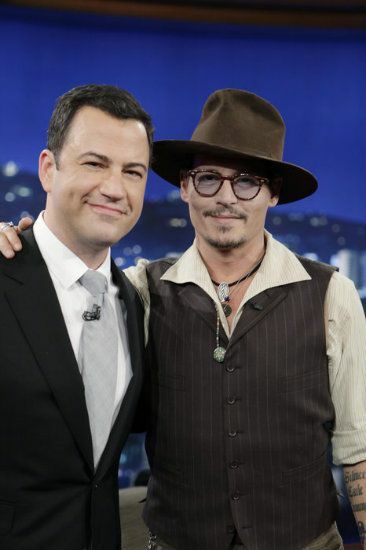 Johnny Depp appears on JIMMY KIMMEL LIVE–new interview! JIMMY: That’s a nice chit to have, as a dad. I mean, really. JIMMY: (incredulous) To your house? JIMMY: Ow, wow. Wow. That’s a helluva — that’s really hooking it up. So then One Direction went with your daughter back to your house. JIMMY: No one ever comes to my house. Photos from the show are available HERE. The Zone thanks humiliatedgrape for sharing the photos. You can read more about Johnny’s appearance on Jimmy Kimmel Live on the Zone’s News & Views forum. 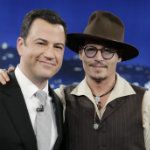 Categories: Uncategorized | Tags: | Comments Off on Johnny Depp appears on JIMMY KIMMEL LIVE–new interview! “My kids . . . certainly made me grow up,” Johnny Depp tells Charlie Rose–new interview! CHARLIE: You lay awake thinking, God, I hope they don’t do what I did. JOHNNY: Oh, God. Please don’t do what I did. The Zone thanks humiliatedgrape for sharing the CBS This Morning interview; you can read more on the Zone’s News & Views forum. Categories: Uncategorized | Tags: | Comments Off on “My kids . 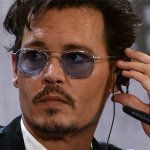 . . certainly made me grow up,” Johnny Depp tells Charlie Rose–new interview! 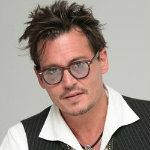 Johnny Depp will sing Sondheim onscreen for the second time later this summer, when he reports to London to film the role of the Wolf in Rob Marshall’s Into the Woods, and he told E!Online that he’s thrilled with the opportunity. “I’m so excited to play the Big Bad Wolf [. . .] That kind of thing is sort of a dream come true.” The cast is dreamy, too: Anna Kendrick has just signed on to play Cinderella, joining an ensemble that also includes Meryl Streep as the Witch; James Corden and Emily Blunt as the Baker and the Baker’s Wife; Chris Pine and Jake Gyllenhaal as brother-princes who woo Rapunzel and Cinderella; Daniel Huttlestone as Jack the Giant-Killer; and Tracey Ullman as Jack’s mother. Stephen Sondheim himself is on record as approving of Johnny’s Sweeney Todd. “I’ve always preferred actors who sing instead of singers who act and generally I’ve tried to cast that way with the shows in New York,” he said. “They have to be musical. They have to be able to carry a tune. They have to have a sense of rhythm. The Zone thanks emma and humiliatedgrape for sharing the news; you can read more about Into the Woods on the Zone’s News & Views forum. The E!Online story, including a video clip, is available HERE. 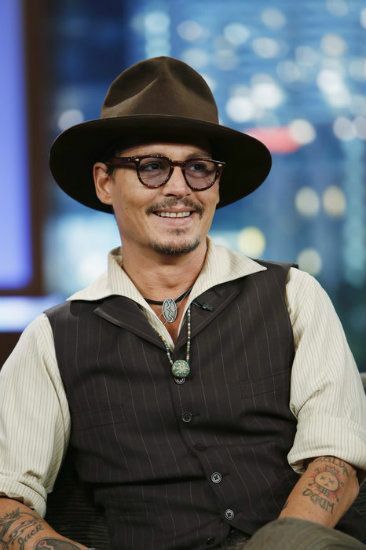 TV ALERT–Johnny Depp to appear on CBS SUNDAY MORNING on June 30th; on JIMMY KIMMEL LIVE and CBS THIS MORNING (with Charlie Rose) on July 1st! Zoners will be giving their DVRs a real workout in the next few days, as Johnny Depp has three major interviews scheduled to promote The Lone Ranger. First, Johnny will appear with director Gore Verbinski on CBS Sunday Morning with Charles Osgood on June 30th for an interview with journalist Lee Cowan. In most markets, CBS Sunday Morning airs at 9 a.m., but in the Pacific time zone, the program may begin as early as 6:30 a.m., so do check your local listings; it would be a shame to miss this. On Monday, July 1st, Johnny will appear on CBS This Morning for an interview with show co-host Charlie Rose (yes, the one and only Charlie Rose). CBS This Morning airs from 7:00 – 9:00 a.m.
Later that night, Monday, July 1st, Johnny will appear on Jimmy Kimmel Live, which airs on the ABC network at 11:35 p.m. His Lone Ranger co-star, Armie Hammer, will appear on Jimmy Kimmel Live the following evening, July 2nd. The Zone thanks FANtasticJD and Theresa for breaking the news; you can read more about Johnny’s television appearances on the Zone’s News & Views forum. 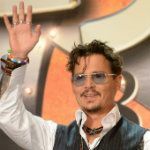 Categories: Uncategorized | Tags: | Comments Off on TV ALERT–Johnny Depp to appear on CBS SUNDAY MORNING on June 30th; on JIMMY KIMMEL LIVE and CBS THIS MORNING (with Charlie Rose) on July 1st! What does an A-list superstar do after attending the exciting red carpet premiere of his latest film in an exotic European city like Moscow? Why, sample the local cuisine, of course! That’s exactly what Johnny Depp did after The Lone Ranger premiere on Thursday; he took Amber Heard to dinner. Amber wore an elegant claret-red floor-length gown with a halter top. A larger photo is available HERE; security chief Jerry Judge is walking behind Johnny and Amber. The Zone thanks Evochka for sharing the photo. You can read more about Johnny’s visit to Moscow on the Zone’s News & Views forum and the Pit General Discussion forum. JOHNNY: There’s two things that I have a problem with. One is that I never read screen direction — (Dave bursts into laughter) — which is the stuff that tells you what to do. DAVE: Wha– how can that be possible? JOHNNY: Well, I’d rather not know what they want me to do. (Audience laughter.) I’d rather just figure something out. DAVE: So you just — you’re kind of just guessing at what they want? JOHNNY: No, I’m just sort of winging it, at what I want. DAVE: (after a moment’s thought) It’s worked so far. Fans who missed last night’s show can find a video of the entire June 27th program currently posted on The Late Show website HERE, but viewing may be restricted for those outside the U.S. The Zone thanks humiliatedgrape, bascan333, and Cyn for sharing video clips; you can read more about Johnny’s appearance on The Late Show on the Zone’s News & Views forum. 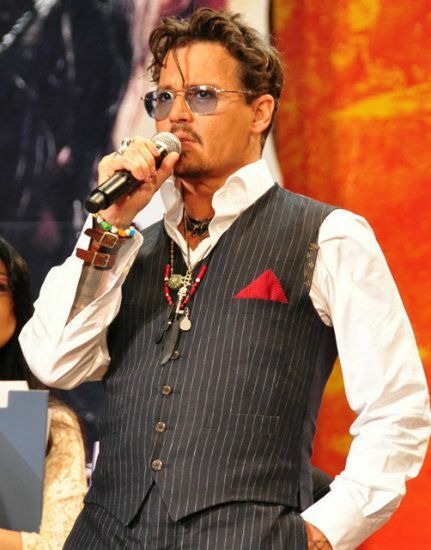 Johnny Depp at Moscow premiere for THE LONE RANGER–new photos! 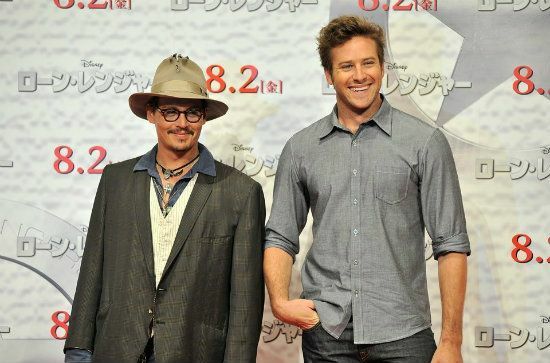 Johnny Depp walked the red carpet for the premiere of The Lone Ranger in Moscow tonight, along with Armie Hammer, director Gore Verbinski, and producer Jerry Bruckheimer. 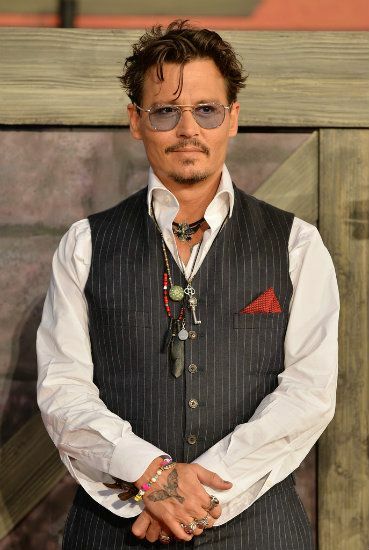 Johnny wore a three-piece dark suit with a subtle gray check pattern in the weave, and a gray shirt open at the neck. Pictures from the red carpet are available HERE. 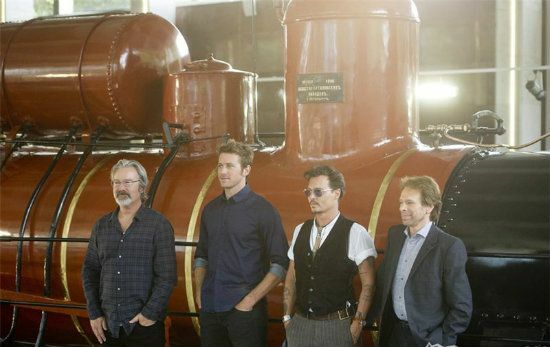 Earlier in the day, the quartet posed for photos in front of a gigantic red train engine. Pictures from that event are available HERE. The Zone thanks Evochka and Aida for sharing the photos; you can read more about Johnny’s visit to Moscow on the Zone’s News & Views forum. 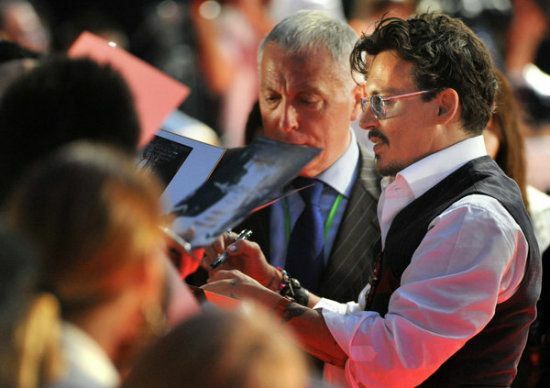 Categories: Uncategorized | Tags: | Comments Off on Johnny Depp at Moscow premiere for THE LONE RANGER–new photos! 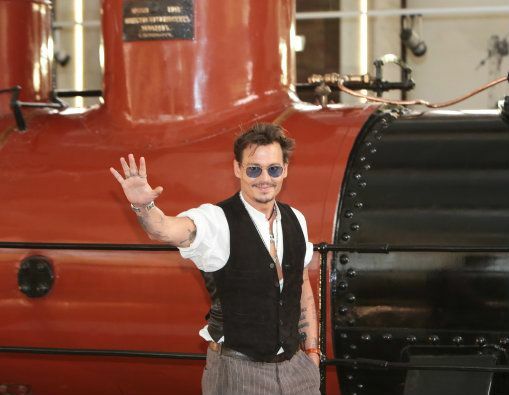 Johnny Depp greets press in Moscow to promote THE LONE RANGER–new photos! 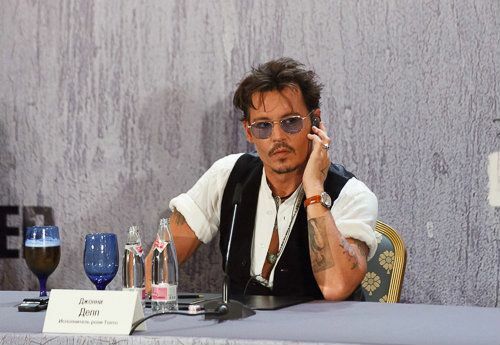 In the photo at left, Johnny Depp listens to the translation of a question put to him by the Russian press corps as he, co-star Armie Hammer, producer Jerry Bruckheimer, and director Gore Verbinski held a press conference in Moscow to promote Disney’s The Lone Ranger today. 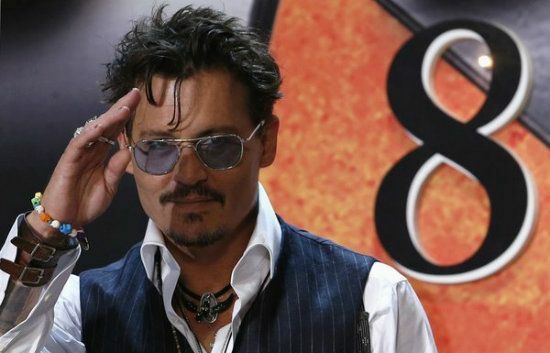 This marks Johnny’s second visit to Russia — he also went to Moscow with Jerry Bruckheimer and Penelope Cruz to promote Pirates of the Caribbean: On Stranger Tides in 2011, and was very warmly received. During an interview on Russian television, Johnny explained the meaning of a number of his tattoos, including a new one on his arm that features a drawing of a man with a quotation from Much Ado about Nothing (“Man is a giddy thing”) beneath it. The artwork is by Johnny’s son Jack. Sweet! Photos of Johnny greeting the press (including a close-up of the new tattoo) are available HERE. The Zone thanks Evochka, Aida, and humiliatedgrape for sharing photos. You can read more about Johnny’s visit to Moscow on the Zone’s News & Views forum. 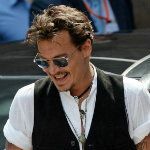 Categories: Uncategorized | Tags: | Comments Off on Johnny Depp greets press in Moscow to promote THE LONE RANGER–new photos! Wow! The Johnny Depp Zone Birthday Project raises $8,570 for Project Pueblo! The Johnny Depp Zone’s 2013 Birthday Project has now concluded, and we are delighted to announce that this year’s project raised a grand total of $8,570 in support of Project Pueblo! This is the highest fundraising total any of our Birthday Projects has ever achieved, and thanks to your kindness and love for Johnny, we will be able to supply water systems and home improvements for several Navajo families! We send our sincere thanks to all the donors who contributed to our 50th birthday gift for Johnny Depp; your generosity is truly inspiring, and it will have a lasting positive effect in the lives of others. Thanks for bringing this year’s Birthday Project to such a heartwarming conclusion. Categories: Uncategorized | Tags: | Comments Off on Wow! 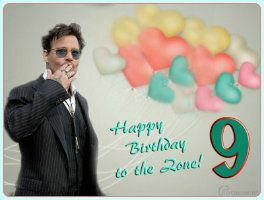 The Johnny Depp Zone Birthday Project raises $8,570 for Project Pueblo!